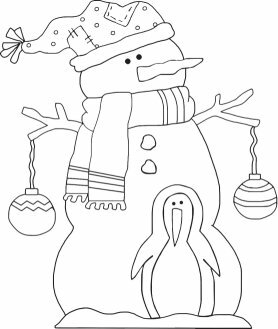 Here's a cute Christmas pattern of a snowman decked out for the cold holding ornaments with a little penguin standing at his feet. Christmas is not just giving and receiving it is also creating that makes it so special. This pattern works as an ornament, gift adornment or even enlarged as an outdoor Christmas yard decoration. 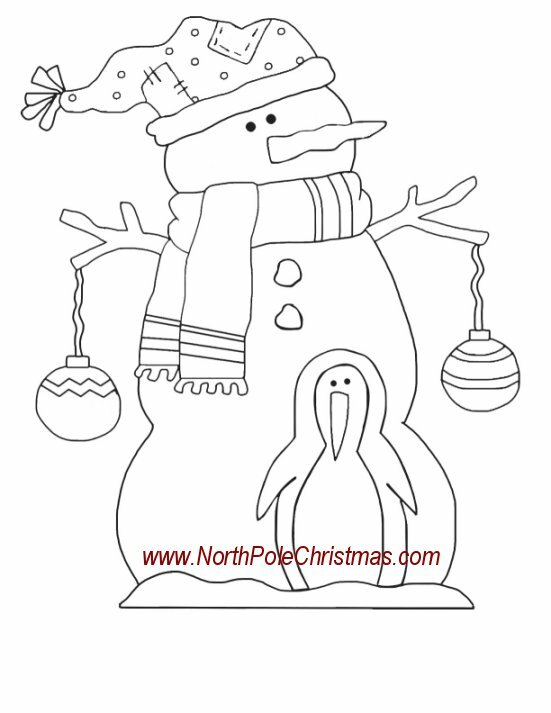 Cut snowman body pattern from 3/4" pine if the snowman will be standing or 1/2" plywood if you are making a snowman that will hang as an ornament for your Christmas tree. For the base of a standing snowman, cut a piece of plywood about 8" by 4" to be the base. Sand all pieces. Use real twigs as arms and hang mini-tree ornaments, instead of trying to cut the ornaments and arms out of wood. Add a scarf made out of flannel to the snowman's neck. 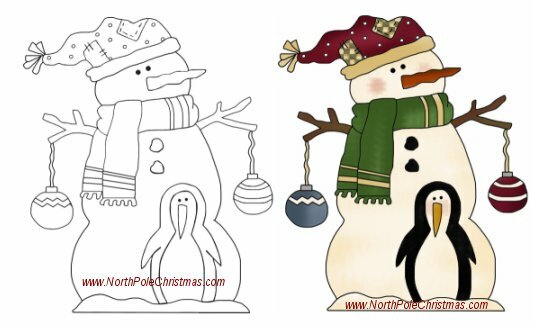 For a 3-dimensional look, cut the penguin separately out of wood and glue to snowman after painting both. If hanging, when finished drill a hole in the top of the snowman's hat. String wire, ribbon or gold cord through the holes and loop the wire.